I am here today to give a big THANK YOU to my friend Teje from Nero’s post and patch for the Stylish blogger award! It is a real pleasure to receive such a great gift so thank you from the bottom of my heart Teje! Resolution number2: Make long walks in the nature…I am blessed to be living in a nature environment with a sunshiny weather 300 days/year so I must enjoy it! and I can pass it to a hundred more!!! Thank you so much,Angie! It’s such an honor! This is my second award from you and I really appreciate it! Hello Angie! You are very welcome! 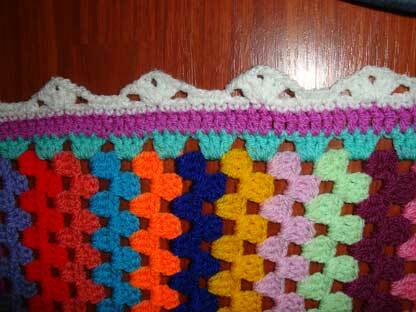 You have lovely blog with your wonderful and colourful crafts! It’s always enjoy to visit you! I could share many of your resolutions…I’ll try with you to walk more (with our sunny days), to lose few kilos etc. thank you very much for this award. I am very honored. 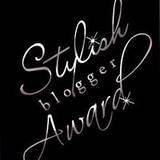 thank you so much for my second Stylish Blogger Award…this is really lovely of you and I am very happy again. Thank you very much for this award, Angie! That was such a nice surprise to find in my inbox on this cold, dark morning. You have made my day!! on January 6, 2011 at 5:59 pm | Reply Debi Y.